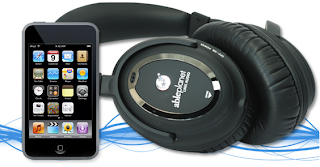 Ableplanet offer's a wide range of Award Winning headphones, designed for the optimal listening experienceIdeal for the traveler, student or music lover. The latest technology and convenient foldable size. The XNC230B features an adjustable headband, superior sound quality and clarity, patented LINX AUDIO technology, in-line volume control for easy adjustment to safe listening levels (no more hunting for the volume control) and state-of-the-art active noise cancelation (ANC). With over 25 International CES and CTIA awards, the sound quality will delight even the most discernable ear. Both myself and my husband love music, however neither of us like those tiny earbuds headphones that came with our iPod's. We both have extremely sensitive ears and can't wear them for an extended period of time (more than 20 minutes). Though we have a few pairs of "old style" headphones, their sound quality is lack luster to say the very least. They don't cover the ear properly, which accounts for a major loss in sound quality (not to mention the fact that they look hideous!). With ableplanet, there is finally a stylish solution to the problem, The EXTREME™ Foldable Active Noise Canceling Headphones with LINX AUDIO®! These compact (when folded) headphones offer incredibly accurate sound, while eliminating noise around you (perfect for city dweller's who have to deal with the assault of noise that comes along with city living). Beyond the incredibly accurate sound quality, they are available in several color / pattern options which truly allow you to customize your listening experience (ableplanet has gone the extra step to also include a carrying pouch). The already amazing listening experience is being made even sweeter, with ableplanet's current offer! With each headphone purchase they are gifting iPod's (for a limited time only - iPod gift dependant on the model of headphones purchased ). Give Dad The Gift of Sound this Father's Day! 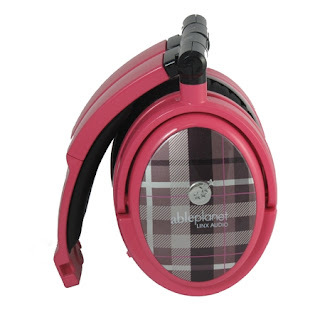 One Lucky Reader will receive a pair of ableplanet EXTREME™ Foldable Active Noise Canceling Headphones With LINX AUDIO® (RV $149.99!). 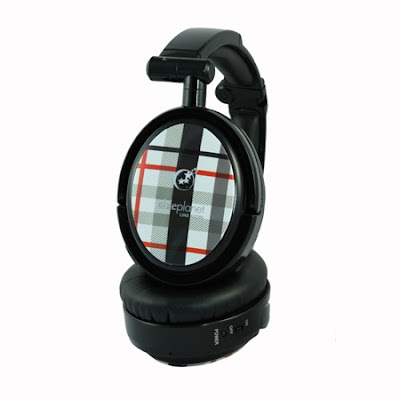 Visit http://www.ableplanet.com/ and let me know which pair of ableplanet headphones you would like to gift to a father in your life this Father's Day. The comment is considered your entry. [NC200B] and I am a public follower via GFC. 1 I follow you on Twitter. i would love to give these EXTREME™ Foldable Active Noise Canceling Headphones With LINX AUDIO® to my husband. I think he wil love them ,he is a musician so a good pair of headphones is esstential. 2 I follow you on Twitter. 3 I follow you on Twitter. 4 I follow you on Twitter. 5 I follow you on Twitter. 1 I subscribe to your YouTube Channel. 2 I subscribe to your YouTube Channel. 3 I subscribe to your YouTube Channel. 4 I subscribe to your YouTube Channel. 5 I subscribe to your YouTube Channel. 6 I subscribe to your YouTube Channel. 7 I subscribe to your YouTube Channel. 8 I subscribe to your YouTube Channel. 9 I subscribe to your YouTube Channel. 10 I subscribe to your YouTube Channel. 1 I subscribe to One Savvy Mom via RSS FEED. 2 I subscribe to One Savvy Mom via RSS FEED. 3 I subscribe to One Savvy Mom via RSS FEED. 4 I subscribe to One Savvy Mom via RSS FEED. 5 I subscribe to One Savvy Mom via RSS FEED. 1 I subscribe to your Newsletter. 2 I subscribe to your Newsletter. 3 I subscribe to your Newsletter. 4 I subscribe to your Newsletter. 5 I subscribe to your Newsletter. 1 I entered your Mythic® Paint Giveaway. 2 I entered your Mythic® Paint Giveaway. 3 1 I entered your Mythic® Paint Giveaway. 4 I entered your Mythic® Paint Giveaway. 5 I entered your Mythic® Paint Giveaway. 1 I entered your Protect-A-Bed Potty Training Kit Giveaway. 2 I entered your Protect-A-Bed Potty Training Kit Giveaway. 3 I entered your Protect-A-Bed Potty Training Kit Giveaway. 4 I entered your Protect-A-Bed Potty Training Kit Giveaway. 5 I entered your Protect-A-Bed Potty Training Kit Giveaway. 1 I entered your Nextbook Next3 Tablet Giveaway. 2 I entered your Nextbook Next3 Tablet Giveaway. 3 I entered your Nextbook Next3 Tablet Giveaway. 4 I entered your Nextbook Next3 Tablet Giveaway. 5 I entered your Nextbook Next3 Tablet Giveaway. 1 I entered your Bambo Nature Natural Diapers Giveaway. 2 I entered your Bambo Nature Natural Diapers Giveaway. 3 I entered your Bambo Nature Natural Diapers Giveaway. 4 I entered your Bambo Nature Natural Diapers Giveaway. 5 I entered your Bambo Nature Natural Diapers Giveaway. 1 I entered your Orb Giveaway. 2 I entered your Orb Giveaway. 3 I entered your Orb Giveaway. 4 I entered your Orb Giveaway. 5 I entered your Orb Giveaway. I would pick the TRUE FIDELITY NOISE CANCELING HEADPHONES.